* Let’s face it, some of us are obsessed with reality TV. 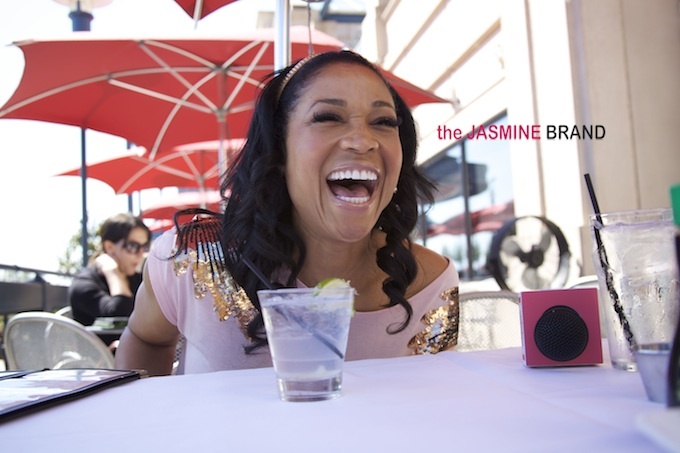 And recently, our EUR partner, theJasmineBrand (TJB), caught up with “Love & Hip Hop Atlanta” cast member Mimi Faust. Although the popular VH1 show is on hiatus until season two (from what we hear, they begin taping with a few new cast members this year), TJB had an opportunity to speak with Mimi candidly, about life when the camera’s aren’t rolling. I’m busier than I’ve ever been in my entire life – which is good. I have my business, Keep It Clean, which I’ve had for 11 years. Its a cleaning service. I do residential and commercial property. I clean for high end clientele. I’m actually doing a clothing line inspired by my daughter. I’m doing a whole children’s line of cute, casual, comfortable clothes. I’m coming out with a book. It’s called Warning Signs about dating men in the business. Also, another thing that I’m doing, I’m coming out with a home line that’ll be in Target or Walmart – I want it to be affordable. It’ll be accessories for your home. I was portrayed how they saw fit for the show. He’s Dad, I’m Mom, we co-parent and we’re cordial. We have to do business together as well. I think it was successful because it was real. The situations were real and I don’t think people were used to seeing that. Visit theJasmineBrand.com for the full video interview. This was a great interview piece. I’ve had the opportunity to meet Mimi and she is a beautiful lady inside and out. I hope she can find peace and be able to move on from the various situations that we saw on this past season of Love and Hip Hop. However after those stellar ratings from this season, many will be tuned in for the next one to see the drama that the cast will bring to the dirty south.